Over the years, Greek life at Grand Valley State University has focused its resources, efforts and time on philanthropy and working towards making a difference in the community. The GVSU Delta Zeta chapter brought its philanthropy outdoors to an off-campus nature trail for the second annual "Hike for Hearing" event. About 150 people attended the event Saturday, Oct. 8, held at Johnson Park in Grandville, Michigan. Delta Zeta sisters, alumnae and community members were among those that gathered at the park to hike for a cause and socialize on a warm fall day. Since 1954, Delta Zeta chose speech and hearing as its major national philanthropy goals. In 2015, the organization pledged a national goal to raise $5 million dollars to support this philanthropic mission, with donations going directly to the Starkey Hearing Foundation. Last year, Delta Zeta chapters across the nation raised $125,000 for the Starkey Hearing Foundation. Delta Zeta’s website states the Starkey Hearing Foundation has pledged to give more than one million hearing aids to people in need this decade, and currently provides more than 175,000 hearing aids annually. To kick off the hike, Delta Zeta hosted speaker Nancy Cluley, who works with Deaf and Hard of Hearing Services in Grand Rapids. 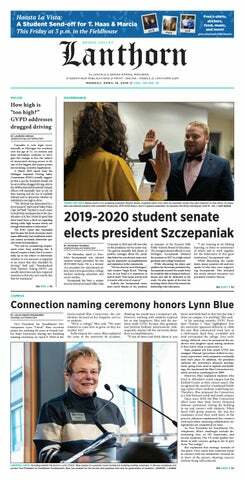 GVSU Delta Zeta philanthropy assistant Breanna Petrucciani said she was surprised when Cluley told the audience how many people in Kent County identify as deaf or hard of hearing, more than 23,000 people. “Hearing problems are very overlooked because it’s something you can’t really see about people,” Petrucciani said. Learning about this cause, she said, has made it become important to her personally, as well as being a philanthropic goal. Delta Zeta vice president of philanthropy Marissa Hagen said although this is a national goal for the sorority, she has also found a true passion for Delta Zeta's mission at GVSU. Hagen said she has felt passionate about giving back to the community since she was in high school, and is humbled to hold a position with Delta Zeta where she can fulfill that commitment. While ticket sales are still being counted from the "Hike for Hearing," GVSU’s Delta Zeta chapter raised about $10,000 toward that $5 million dollar goal with their "Hoops for Hearing" basketball event last semester. In addition, Hagen said the "Hike for Hearing" event was successful in its raising of both awareness and money for individuals who are deaf and hard of hearing. “There was overwhelming support from everyone that was there, and just enjoying nature in general was great too,” Hagen said.